We apply our expertise in remote sensing, positioning, and cartography to solve real world problems. We manage spatial data using modern cloud-based systems, providing your customers with intuitive access to their data anywhere in the world. We apply advanced machine learning methods to extract useful knowledge from raw data. In today's mobile world, it makes sense to have access to your spatial data wherever you may be. 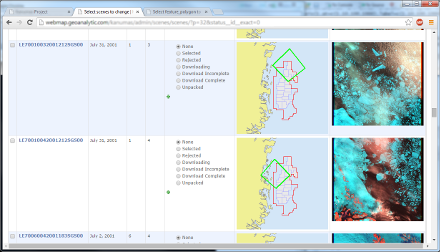 We customize popular Open Source GIS technology such as Mapserver, OpenLayers, GeoMoose and PostGIS to provide a browser-based mapping application so you can select imagery and edit vector features. A major benefit of this "cloud-based" approach is it provides an enterprise-wide system for creating spatial data without the need for installing and configuring desktop software. 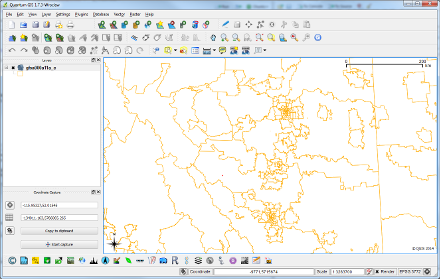 If you need the full power of a desktop GIS, we can enhance QGIS, a popular Open Source GIS to meet your needs. QGIS is a full featured Open Source desktop GIS with the ability to import GIS vector and raster formats, explore and edit data, create and publish maps. We can customize QGIS to match your desired workflows. 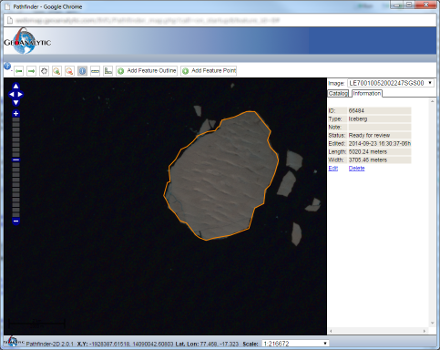 Whether it's tracking vehicles in remote areas or vessels in ice-infested waters, we can provide a web mapping system to show you the latest positions of your assets along with overlays of the latest satellite imagery showing the current conditions. © GeoAnalytic Inc 2019. All Rights Reserved.